Pro-Ject High-End soittimien ensiaskel. 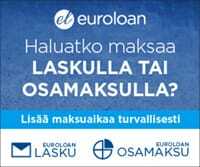 EISA-voittaja 2014. Raskastekoinen soitin jossa hiilikuituäänivarsi ja jykevä levylautanen. Värivaihtoehtoina pianomusta, valkoinen, punainen, mahonki, oliivi. • Heavy 16 kg belt drive turntable • Mass loaded magnetic floating subchassis • Precision balanced sandwich-platter • Inverted ceramic ball bearing with magnetic support • Heavy weight record clamp • MDF chassis filled with metal granulate with low levels of resonance and high mass • Electronic speed control 33/45 rpm • Tonearm 9cc Evolution made from carbon fibre • Inverted tonearm bearings (ABEC 7 quality) • Dust cover included Superlative vinyl performance from a compact luxurious turntable/arm configuration! Xtension 9 Evolution incorporates all our turntable design experience from more than 20 years in a slim-line size to fit standard audio racks. Xtension 9 chassis is made from MDF filled with metal granulate, that gives high mass and is non-resonant. Magnetic feet, which decouple the main plinth from its base, are combined with a weighty 16kg total turntable mass. 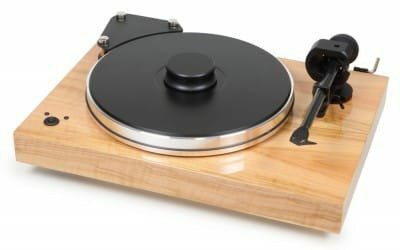 The result is a unique combination of 'mass loaded' and 'floating turntable' design principles. Instead of pure metal for the main platter, we've found a perfect alloy which we damped on with thermo plastc elastomers (TPE). Additionally we've glued recycled Vinyl records to the top (which act as a perfect mat) and bake this 'sandwich' before precision balancing it. The final product subsequently benefits from a wonderfully resonance-free, heavy platter, that runs ultra-silently on an inverted ceramic ball bearing with magnetic suspension. Pro-Ject Xtension 9 Evolution includes a top-class highend tonearm „9cc Evolution“ and comes complete with a beautiful dustcover. 3 different high gloss lacquer finish options are available: mahogany, piano, olive, red and white. XLR Option Pro-Ject Audio Systems offers their highend turntables with premium 5pin>RCA unbalanced arm cable or - by request - with premium balanced 5pin>XLR connection to Pro-Ject Phono Box RS preamplifier. Phono Box RS offers balanced phono inputs, what guarantees superior results in highend vinyl reproduction with a balanced signal source. NOTE: The signal source and the receiving device have to be equipped with balanced connections. Transmission of audio signals in a balanced mode reduce the influence of interference due to external stray electric fields significantly.